Are you looking for a men’s fragrance that is able to enhance the impression of the wearer’s presence? Creed, as one of the leading perfume houses of the world, may have caused you some uncertainty, as their Aventus and Green Irish Tweed are both very interesting fragrances. Both of these fragrances are praised by many people for featuring excellent qualities that you would expect from a high-class perfume. Yet, the two seem to be in contrast to each other. Some fans of Creed Aventus don’t like Creed Green Irish Tweed, and, vice versa, some fans of Creed Green Irish Tweed don’t like Creed Aventus. Which is best for you? Creed Aventus is a fragrance crafted to reflect the characters of the French emperor, Napoleon Bonaparte. It conveys strength, power, vision, and success. It appears royal and perhaps slightly eccentric – in a good way – due to the distinctive scent, which makes it able to represent firm confidence. 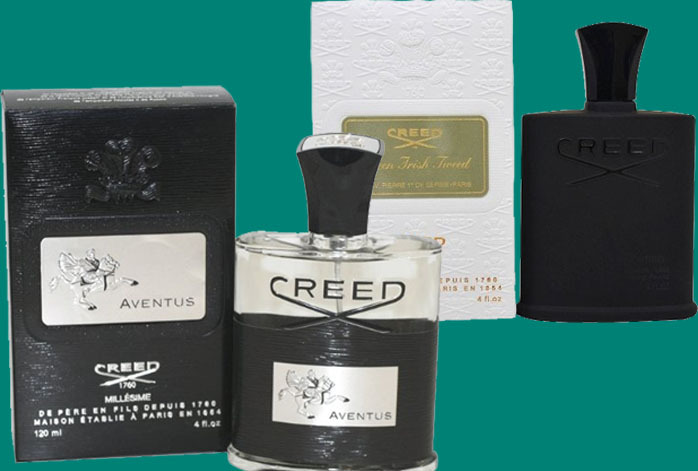 Creed Aventus combines various ingredients to deliver such warmth and freshness with solid base notes. It features extracts of apple, currants, and pineapple, combined with smoky jasmine and vanilla. The base notes smell of gentle oakmoss and musk. Creed Green Irish Tweed is extremely popular due to the fact that it is used among Hollywood elites, such as George Clooney. Unlike Creed Aventus, Creed Green Irish Tweed is a lot more earthy with some sort of moss and pine scents. However, after the initial projection, it begins to deliver hints of citrus-based notes, making it a somewhat refreshing refined aroma. It relies on french verbena and iris for the top notes, and features violet leaves, sandalwood, and ambergris for the base. It smells exotically masculine, yet with a subtle freshness, which makes it very versatile as well. Aventus and Green Irish Tweet indeed emphasize in different areas. While Aventus is warmer and somewhat smoky, Green Irish Tweed is pretty earthy and mossy. Aventus is perhaps more suitable for people with high confidence, while Green Irish Tweed is great for a more laid-back man. Both have excellent projection. Yet, if you are seeking for a versatile perfume, Green Irish Tweed is more versatile than Aventus.